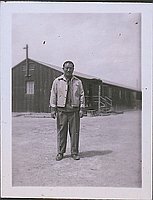 Portrait of a man standing in open area in front of barracks at Heart Mountain concentration camp, Wyoming, 1945. 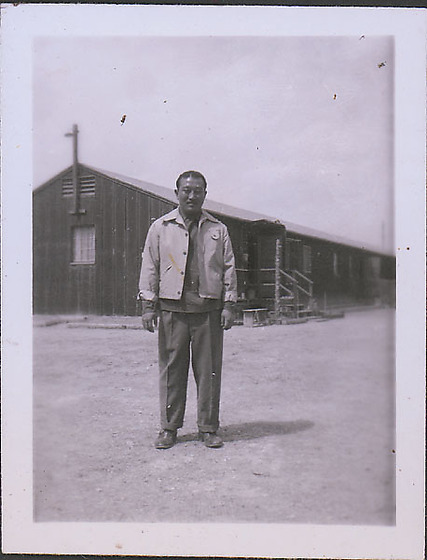 He is dressed in light jacket over shirt and pants. He stands with hands at sides and looks directly at viewer. Shadow extends slightly to right.